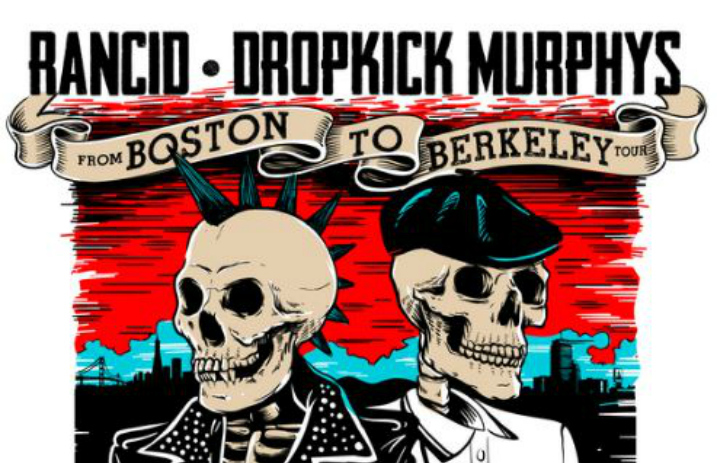 Rancid and Dropkick Murphys have had a long history together and now the two are hitting the road together in what's bound to be a can't miss tour. Check out the dates and supporting acts for the From Boston To Berkeley Tour below! It's very possible that if it wasn't for Rancid, we never would have had Dropkick Murphys. In 1997, Rancid’s Lars Frederiksen came across a copy of Dropkick Murphys’ original EP at a friend's house. He turned it over to his bandmate and Hellcat Records president Tim Armstrong, who quickly snatched up the band for his new label and the rest is history. Dropkick Murphys' ninth album 11 Short Stories Of Pain & Glory, released through the band's label Born & Bred, debuted at No. 8 on the Billboard 200. Rancid will also be releasing their ninth album this year. Their last album, ...Honor Is All We Know, was released back in 2014 and peaked at No. 20 on the Billboard 200. “It's a long time coming with these two bands touring together. There is so much history between both of us that it should make for a great tour. We look forward to seeing all of our friends and family out there,” said Rancid's Lars Frederiksen. These legendary bands will be supported by The Bouncing Souls, The Selecter, Kevin Seconds and Jake Burns. The Bouncing Souls and Jake Burns open the July 27 – August 9 shows while The Selecter and Kevin Seconds will open from August 11 – 26. Tickets will be on sale Mar. 10 at 10 a.m. local time and can be purchased here and here. Check out a teaser video below! Which date will we see you at?! Check out the entire list of dates below!